Play Pyramids Quest for Immortality for real! The first ever mobile slot was developed by NetEnt in 2011, creating an entirely new industry within iGaming. Now, five years later, almost 40 Touch® games have been released by NetEnt. 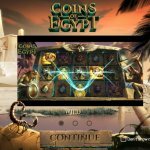 If I’m correct, Pyramid: Quest for Immortality Touch® is going to be Touch® game number 39 and even though two ancient Egypt-themed video slots have been launched in the past years, is Pyramid: Quest for Immortality Touch® going to be the first mobile slot opening the door into the ancient world of pharaohs, Egyptian gods and pyramids. 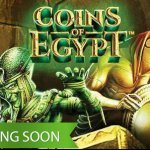 Simply because the two older NetEnt slots Secrets of Horus™, and Egyptian Heroes™, obviously involving Egyptian history, never made it as a NetEnt Touch® game. The first mobile slot ever created by NetEnt was Gonzo’s Quest Touch® that was launched earlier in 2010. I might have told you before, but it was this video slot that started me to appreciate the NetEnt slots and I do ‘blame’ Gonzo and the Avalanche™ feature. Because of its 3D design and the Avalanche™ feature, Gonzo’s Quest Touch® was its time ahead which has now been proved by Pyramid: Quest for Immortality Touch®. 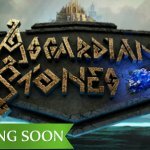 It’s obvious the Avalanche™ feature didn’t lose its revolutionary character as it has been brought back in Cosmic Fortune™ last year and now again in Pyramid: Quest for Immortality Touch®. 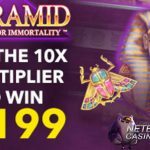 Now Pyramid: Quest for Immortality Touch® is available at all mobile casinos, you can go for your personal quest of immortality while enjoying an unbelievable mix of slot features and a free history lesson introducing Egyptian gods like Horus, King Tut – Tutankhamun, and Egyptian artifacts such as the Egyptian Ankh. Enjoy your journey back in time while you are offered slot features their time ahead. 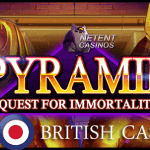 No matter if you decide to play this new mobile casino game on your iPhone, Android device or Windows Phone, Pyramid: Quest for Immortality Touch® promises an advanced gaming experience. When NetEnt decided to place Pyramid: Quest for Immortality Touch® inside a pyramid, they probably got a bit short in space. The perfect solution was seen before in Wild Rockets™ and all that needed to be done was to place this layout upside down and et voilà. 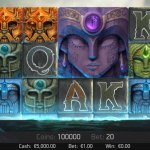 This leaves Pyramid: Quest for Immortality Touch® with a 3x4x5x4x3 layout and without bet lines resulting in a 720 ways to win. Every combination formed from left to right is a winning one resulting in the activation of the Avalanche™ feature. I already introduced the 720 bet ways available for the first time in a mobile slot as Wild Rockets™ never made it as Touch® game either. And while Wild Rockets™ was offering a both ways win and a Wild substitute only, Pyramid: Quest for Immortality Touch® definitely has a lot more to offer thanks to the Avalanche™ feature, the Avalanche Multiplier, and the newly introduced Wild Generations. It’s a pleasure to see the Avalanche™ feature back again, this time better than ever thanks to the Avalanche™ Multiplier of maximum x10 and the Wild Generations. 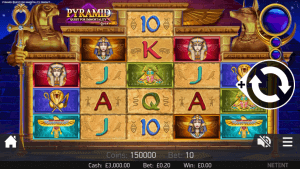 Just as in other mobile slots this feature have been used in, a game round in Pyramid: Quest for Immortality Touch® is also made up of a series of Avalanches where symbols fall into position, instead of the traditional spinning. The Avalanche™ feature can be activated easily as one winning combination is enough. At the same time, the Avalanche Multiplier will become active too. The Avalanche Feature™ is adding to a great slot experience, one a player is looking for. Every time you pick up a win playing the main game in Pyramid: Quest for Immortality Touch®, winning symbols will disappear and new symbols will be dropped instead giving you another opportunity to win while the Avalanche Multiplier starts to climb up too offering a maximum Multiplier of x10. The Avalanche Multiplier increases by x1 with every 3 successive Avalanches containing at least one bet way win, up to a maximum multiplier of x10. Wild generations working exactly the same as a standard Wild feature as Wild Generations substitute for any other symbol. A symbol that lands on top of reels 2, 3 or 4 and is part of a winning combination, turns into a Wild symbol for the next Avalanche. I’m 100% sure the use of the Avalanche feature™, in combination with Wild Substitutions and Wild Generations, will keep you captivated and hoping for some truly big wins as this combination can be responsible for a win of up to €7.2 million.